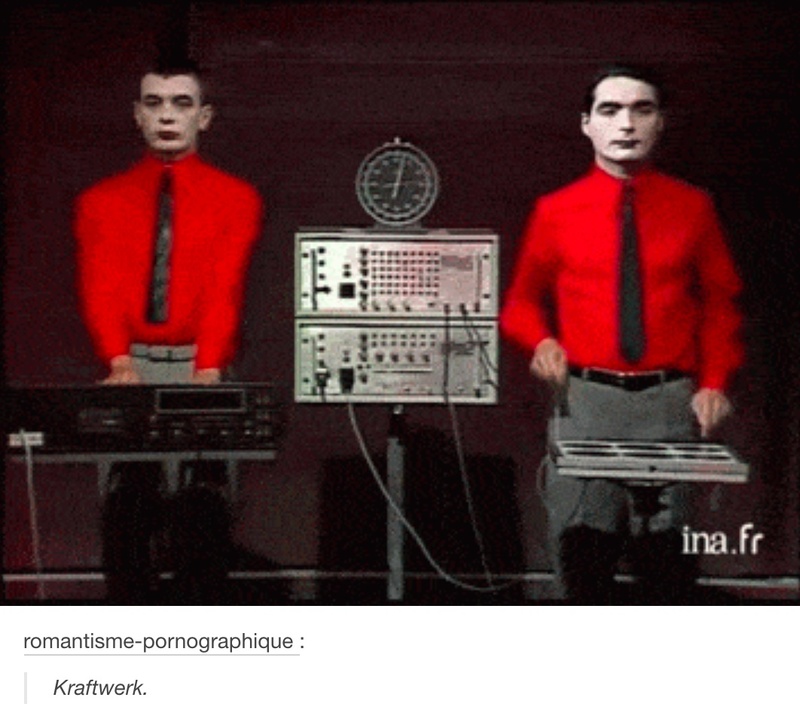 When I did a promo tour for EMI Germany, I asked them if it was possible for them to introduce me to any of Kraftwerk, my fave ever band (they were on EMI too). Well, I ended up having a lovely dinner with the EMI Germany peeps and Mr. Wolfgang Flür (seen drumming on the right here). He was totally lovely, didn’t mind my outrageous fanboying at all. We talked about synths and electronic music, Stockhausen and Bauhaus.